New communications director-general Mamodupi Mohlala has promised to get tough on poor performance by state-owned enterprises that fall in her department’s portfolio, including broadcast signal distributor Sentech and public broadcaster, the SABC. She says her department will play a “closer supervisory role” over these organisations to help them deal with problems that arise before they turn into full-blown crises. 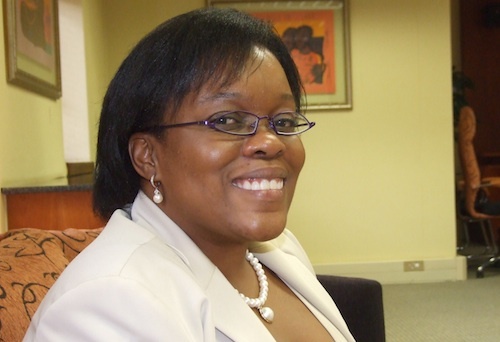 In an exclusive interview with TechCentral — her first since taking over as director-general last month — Mohlala says beefing up her department’s oversight of state-owned enterprises in its portfolio is top of her priority list. The SABC and Sentech have both turned in poor financial results recently. A full review of both organisations, ordered by communications minister Siphiwe Nyanda, is underway, she says. Mohlala says her department plans to strengthen shareholder agreements with portfolio organisations and make sure they report back to her office more frequently. The task team appointed by Nyanda has been given until the end of October to report on its findings. As part of its review, the task team, which is made up of individuals from outside the department, will make recommendations about Sentech’s future. The task team will report on whether Sentech should continue with its telecommunications investment plans, Mohlala says. “The report will look at the business case for Sentech and its three licences,” she says. In addition to carrying signals for broadcasters, Sentech has licences to carry international telecoms traffic and to build a domestic telecoms network. However, its first attempt to build a wireless network, known as MyWireless, failed — at a cost of hundreds of millions of rand. Now Sentech wants up to R4bn to roll out a national broadband wireless network. However, the national treasury has provided only R500m of this funding. “We need to understand what the business case is for each of Sentech’s licences,” Mohlala says. She says there has been no official change in government policy towards Sentech. She says it was a cabinet decision that Sentech should build a national wireless network. Though the decision was taken by the Thabo Mbeki administration, the decision stands, she says.